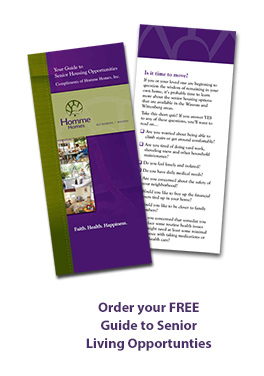 Homme Home of Wittenberg is an 50 bed Medicare and Medicaid Certified skilled nursing facility that offers short term rehabilitation care, long term care, dementia care, and partners with numerous hospice providers. Homme Home is an organization that is committed to quality of care and strengthening clinical practices by utilizing best practices and evidence based protocols in our skilled services. Radun Rehabilitation Center: a unit that is focused on providing short term rehabilitation care after a hospital stay, to allow an individual to safely return to the community. 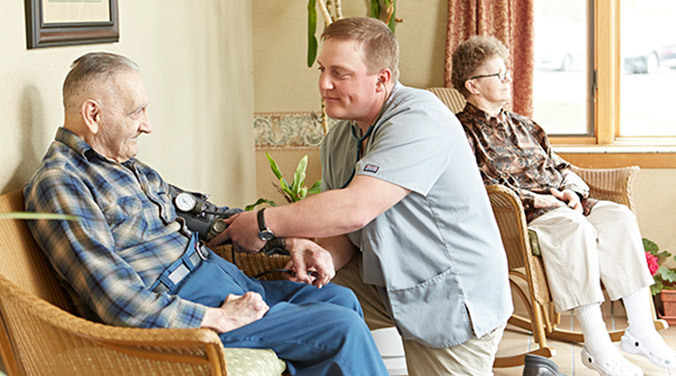 Traditional Long Term Care: a long term care unit that provides complex medical and skilled nursing services for the residents. Dementia and Memory Care Unit: a safe and secure unit for individuals who suffer from dementia. On this unit we utilize holistic approaches to behavior interventions and have active Aromatherapy and Music and Memory programs to assist in the holistic approach. For more information, please call: 715-253-2125 Ext. 149.